Children will be able to learn about Henri Matisse who was a painter, draftsman, sculptor, and printmaker. Known for his use of color, his work is regarded as responsible for laying the foundation for modern plastic arts. He was part of the Fauvism art movement (known as a “wild” way of painting–way less of seeing the world than of feeling it with one’s eyes). 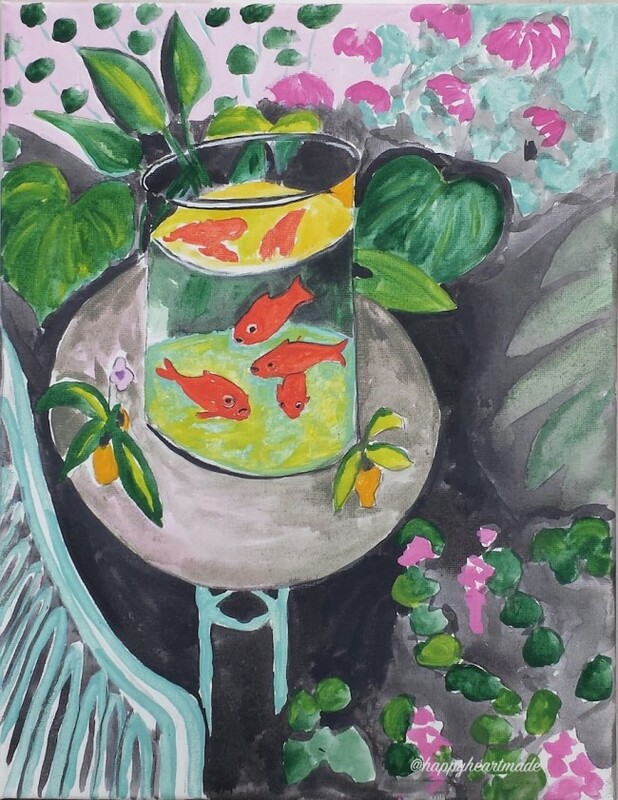 In the workshop, kids will learn about Matisse while having fun with color, shapes, images and the art techniques that go into painting The Goldfish. 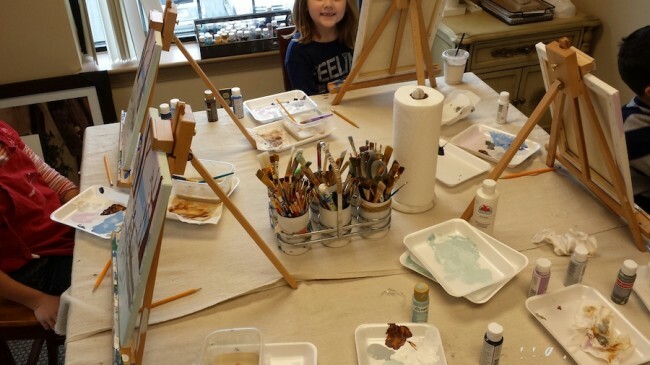 “Art for Little Eyes” will begin at 10am on Saturday, March 25th. I want to make sure we have ample time to paint, so our painting time is two (2) hours for the workshop. Therefore, the kids workshop will be from 10am – noon (12pm). Children, Ages 5 – 13, will have fun recreating this Henri Matisse painting. We provide everything with your ticket- just show up on March 25th! I’ve always loved Matisse’s art – so innocent and you couldn’t have picked a better artist to show children how important it is to feel with one’s eyes. I would love to have been closer to you to be able to send my kids for one of your workshops. You are the ideal art teacher that let’s people explore their inside eye without letting their brains take over. I’ll be eternally grateful that I met you on the big vast internet. Aww, Michelle your kindness truly touches my heart and soul…tears in my eyes sweet friend–from across the globe!! Thank you so much for always inspiring me!! !